Those patiently waiting for the new Destiny Rise of Iron content to arrive in few days time on September 20th, 2016 are sure to enjoy this new launch trailer which provides a look at the new and highly anticipated cinematic story campaign. 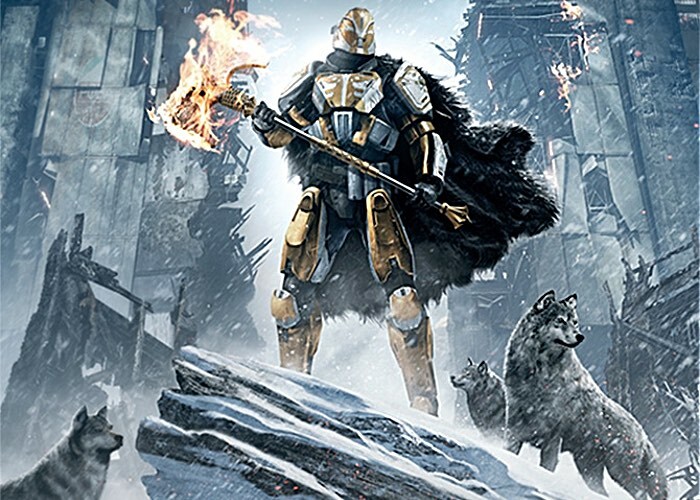 As well as the new story campaign Rise of Iron will also bring with it the obligatory new weapons and armor, as well as a new Raid together with new and reprised co-operative Strikes, a new social space, and more. Destiny: Rise of Iron is the next highly anticipated expansion to the Destiny universe. It features an all new cinematic story campaign set within The Plaguelands, a brand new location on Earth. Under the command of Lord Saladin you will face a new faction of Fallen Devils, the Splicers, while unravelling the mystery of the Iron Lords. Rise of Iron features new weapons, armor, and gear, as well as a new cooperative three-player Strike, a new mode and maps for the Crucible competitive multiplayer, and an all new six-player cooperative Raid.